Cooper, will make his USA Baseball coaching debut at the 16U National Team Development Program. GRAMBLING, La. 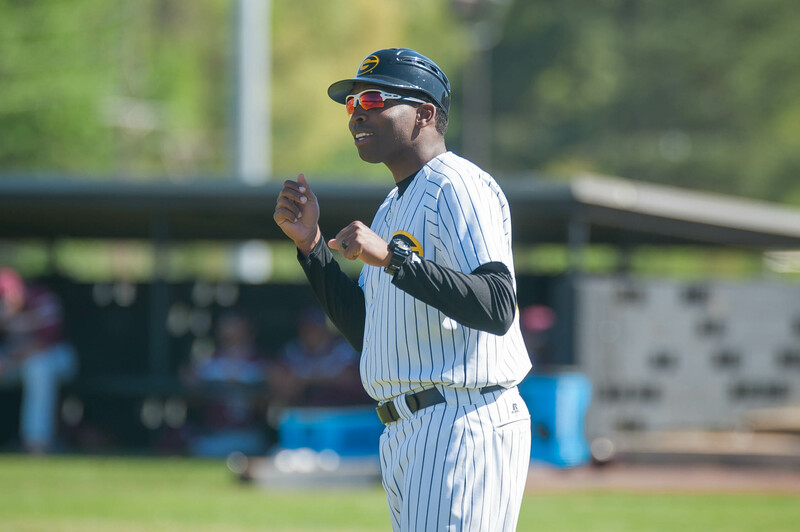 | Grambling State University head baseball coach James Cooper finally received the news that he had been waiting on for nearly two months as he was named on Wednesday to the United States of America (USA) Baseball National Development Under-16 Team as a position coach. Cooper was selected by Matthew Blood, a former scout for the St. Louis Cardinals who thought that he fit the coaching description perfectly. Although Cooper was unsure of how the selection process went for choosing the coaches, he said Blood did mention he had been following Cooper’s success over the years, and even mentioned players such as Edwin Drexler, who was drafted by the Los Angeles Dodgers in the 38th round in 2015, and Tanner Lee Raiburn, who was selected in the 33rd round to the Boston Red Sox to play for the Gulf Coast League in 2017. Additionally, Marshawn Taylor who won multiple Southwestern Athletic Conference (SWAC) awards last season. Currently in his ninth season as the head coach at Grambling State University, Cooper, will make his USA Baseball coaching debut at the 16U National Team Development Program (NTDP). He started his career at GSU as a player before becoming an assistant coach and then taking over at the helm. As a head coach, he led the Tigers to a SWAC championship in his first year and was selected the conference Coach of the Year twice (2010 and 2017). As a player, he was second team all-conference twice and received first-team All-SWAC honors after his senior campaign. He was selected in 33rd round of the 2004 MLB First-Year Player Draft by the Houston Astros. Joining Cooper, who will be a Stars Position Coach, on this journey will be Scott Berry (Stars Position Coach), Greg Brown (Stripes Position Coach), Rusty Filter (Starts Pitching Coach), Eric Kibler (Field Coordinator), Jayson King (Stripes Manager), Bill Mosiello (Stars Manager), Eric Patterson (Stripes Position Coach), Gregg Ritchie (Hitting Rover) and Ryan Schmidt (Stripes Pitching Coach). The USA Baseball National Team Development Program offers athletes an opportunity to connect with USA Baseball staff to better prepare for future national team experience. The program includes skill development sessions, off-field education seminars, intrasquad Stars vs. Stripes games and exposure to professional scouts, college recruiters and the 18U National Team staff and task force. The 2018 16U NTDP will take place August 4-7 at the USA Baseball National Training Complex in Cary, North Carolina. USA Baseball is the national governing body for the sport of baseball in the United States and is a member of the United States Olympic Committee and the World Baseball Softball Confederation. The organization selects and trains the World Baseball Classic, Olympic, Premier12 and Pan Am teams (and all other USA Baseball Professional Teams); the USA Baseball Collegiate National Team; the USA Baseball 18U, 15U and 12U National Teams; and the USA Baseball Women’s National Team, all of which participate in various international competitions each year. The organization is responsible for the continued proliferation and health of the sport, and leads a number of amateur initiatives including PLAYBALL and Pitch Smart. USA Baseball also presents the Golden Spikes Award annually to the top amateur baseball player in the country. For more information, please visit the organization’s official websites: USABaseball.com, USABaseball.Education, PLAYBALL.org, PitchSmart.org, GoldenSpikesAward.com and USABaseballShop.com.